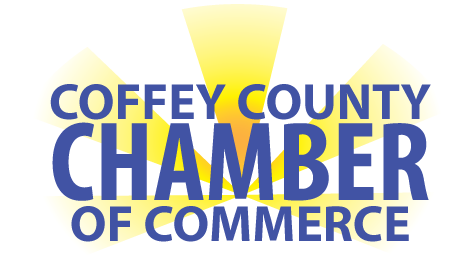 It is with regret that we announce the resignation of Brandon W Stiner as Executive Director of the Coffey County Chamber of Commerce, effective June 1, 2018. During the last 2 years, Brandon has made tremendous efforts in reinvigorating the Chamber’s website and making sure that Coffey County is known throughout the state as a great place to work, live and play. It is with warmest personal regards that we wish Brandon success as he assumes his new position, Business and Communications Manager for Southeast Kansasworks Inc., where he will continue to serve Coffey County along with 16 other counties by working with employers to identify clear linkages between workforce development activities and employer’s needs, along with development of social media strategies content.